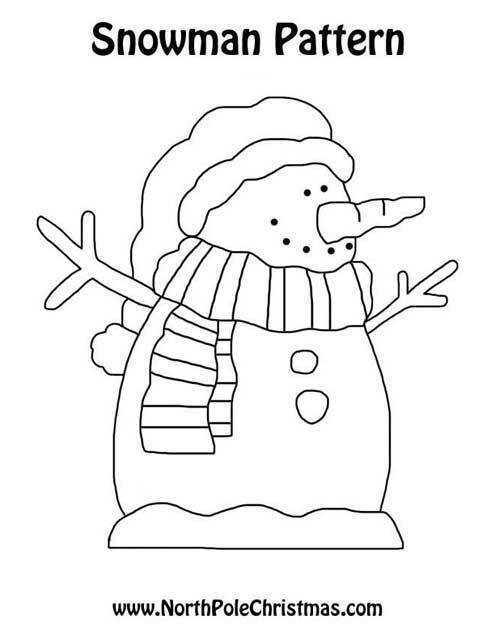 Lovable snowman template– use as a stencil for crafts or fabric projects. Black and white outline to print or download. Christmas activities, yard decorations, tote bags.